As digital marketing continues to evolve, the demand for marketers with specific expertise in social media will only increase. In the early days of social media marketing, many businesses had a rather relaxed outlook on the skills required for the job. Often times interns fresh out of college, with little to no marketing experience, were relied on to manage company social media accounts. Businesses assumed that these younger employees must have had the skills required since they grew up with social media being a large part of their lives. Unfortunately, with social media now evolving into a legitimate and mature marketing channel, a need for highly skilled marketers has increased. Gone are the days when you could post content to your Facebook page and expect all of your followers to see it. Gone are the days when “being active on social media” was the main objective. 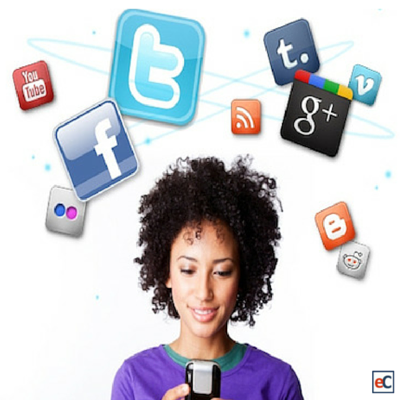 The social networks are changing and so is the way businesses think about social media. Content is what fuels social media marketing. Without content, marketers are left with nothing to engage their followers with. Marketing expert Ann Handley’s book, “Everybody Writes”, discusses how everyone, especially marketers, need to begin thinking of themselves are writers. This shift in thinking allows you to approach writing more professionally. After all, writing is one of the main ways that you will get your message across to potential customers. Growing up, If you were the student that was excited when papers were assigned while the rest of the class groaned in horror, social media marketing might be the job for you. Between writing blogs, promotional content and interacting with people on social media, your writing skills will be put to the test on a daily basis. The best social media marketers aren’t discouraged when a piece of content they worked hard on fails, when an angry customer takes their anger out on them or when social networks keep making their job harder. No, the sign of a great social media marketer is the ability to learn from these encounters and move forward with the same amount of excitement and commitment. If you were the kid that never gave up, regardless how daunting the task seemed, then a life as a social media marketer might be the challenge you have been looking for. Imagine having access to the thoughts of over 1 billion people. Even better, imagine having access to the thoughts of your target customers. With social media, marketers have just that. Unfortunately, many marketers are too busy speaking to listen. Publishing content on social media is important, but the true power lies in the data that is freely available. The conversations between consumers and your competitors. The feedback about your product/service. The types of content that is being shared. Marketers that actively listen on social media have a significant advantage over those who do not. Think about the brands you follow on social media, especially companies that you are not a customer of. Chances are you follow them because the content they share is educational, entertaining or funny. Businesses that are able to sprinkle humor into their strategy come off as more personable and approachable. This, in turn, leads to trust and loyalty. Think about it, humans like to joke and laugh. Why is it then that most businesses act so professional on social media? If you regularly make people smile and laugh, your odds of succeeding as a social media marketer will greatly increase. The key to marketing is identifying the pain-point(s) of potential customers and then tailoring your messaging accordingly. The end goal is to make it clear how your product or service will help fix their pain-point(s). Marketing on social media is no different. If you hope to find success as a social media marketer, you need to be empathetic. Being able to relate with your target audience and feel their pain is extremely important. Not only will this help you to engage directly with potential leads, but it will also help you to create the right content, with the right message. A recent study completed by Workfront found that marketers spend only 36% of their workweek performing the primary duties of their jobs. As a social media marketer, you can expect these numbers to be even lower. Simply put, the life of a social media marketer is anything but predictable. The ability to multitask and act in a highly adaptable manner is a necessity. If you enjoy daily challenges that are both unpredictable and always changing, you might make a perfect social media professional. We spoke earlier about how social media marketing is beginning to require significantly more expertise in order to see results. A main trend driving this change is the introduction of algorithms. Without going into too much detail, algorithms are how Facebook decides what posts to show you, what posts not to show you and in what order they are shown. Successful marketing campaigns now require an understanding of data and how the social networks operate. If you enjoy analyzing data and learning how to use it to your advantage, social media will become your playground. The data available for digital marketers is staggering and the social media marketers that know how to make sense of it are beginning to separate themselves from the pack. Social networks, in an effort to remain popular, are always making changes. The only thing that never changes is the necessity to constantly be learning. Unlike some professions, digital marketers must continue to learn or they will be left behind. For example, Facebook is now making a major push towards becoming the go-to place for videos. Smart marketers have realized that natively posted videos are performing far better than non-native videos and are adjusting accordingly. Growing up, if you were the kid that was always interested in learning more, you will love the daily challenge of being a social media marketer. You will be forced to learn or be left behind. Some people fear this type of challenge, social media marketers welcome it with open arms. What do great marketers and toddlers have in common? They both ask “why” a lot. Curiosity is one of the most admirable traits of young children. Their eagerness to understand the world around them is fascinating to watch. As a social media marketer, you want to channel your inner toddler curiosity. Question everything. If your posts are being seen by less people, try to figure out why. If one of you recent ads went viral, it is crucial that you identify what caused it. Curiosity is a key trait of social media marketers. This curiosity lends perfectly into the trial and error nature of marketing as a whole. For many businesses, social media is their main way of communicating to and with their customers and leads. These conversations provide valuable insights for nearly every area of the business. The best social media marketers work alongside other departments to help make their job easier. If customers are providing feedback that is relevant to your developers, share it with them. If you notice a new trend that will affect your sales team, make them aware. Though this type of communication might not be a job requirement, it is what will separate you from the other digital marketers. We hate to be the bearers of bad news, but marketing on social media is not a quick fix for your business. However long you think it will take to see results, think longer. It takes time to produce enough content to start getting noticed. It takes time to nurture long-term relationships. It takes time to learn what does and does not work for your business.If you lack patience, life as a social media marketer will be extremely frustrating. Related Post: How Long Will It Take to See Results From Social Media Marketing? Think back to your childhood. Were you the kid that was constantly breaking, or as you like to say “bending”, the rules? Though this type of behavior probably got you into a lot of trouble as a kid, it just might help you land a job as a social media marketer now. Don’t believe us? Take a look at how Jack Smith, an aspiring entrepreneur, bent the LinkedIn advertising rules to help his startup land a prestigious spot in an incubator. Like Jack, the best social media marketers learn the rules with hopes to use them to their favor. If this type of growth hacking excites you, social media might prove to be the hacking playground you dream about. We have already discussed the importance of being a good writer. Writing skills will help you to effectively convey your message. We have also discussed the importance of constantly learning, as the social media industry is always changing. One of the best ways to improve your writing skills and to stay up to date with social media trends is to read. Not just occasionally, but all the time. If you do not enjoy reading, you will struggle as a social media marketer. Are you the type of person who needs constant supervision and direction in order to complete tasks? If so, you will struggle to find success as a social media marketer. As a rather new profession, many businesses do not have a full social media marketing department which makes getting help and encouragement much harder. Instead, you must be self motivated to align your actions with high level business goals. Your boss may tell you that he wants to increase brand awareness and trial signups. It will then be your job to identify the best ways to accomplish these goals. Often times this will require abnormal business hours, as well as constant learning. What is the first thing you do in the morning? If you’re like 80% of 18-44-year-olds, the answer is “check my smartphone.” If you thought, “check social media”, then it should become clear why most social media marketers are early risers. Despite tools like eClincher, that allow you to schedule social media posts ahead of time, many social media marketers wake up early to begin engaging in conversations, curating fresh content and handling missed notifications and messages. Though waking up early is not a requirement, there are several benefits. Now it is your turn! What signs or traits do you think prove you were born to be a social media marketer? Let us know in the comment section.